Learn two important irregular verbs, sum (I am) and possum (I am able), mastering their present tense indicative, imperative, infinitive, and subjunctive forms. Notice how the tiniest linguistic details can be powerful markers, giving rise to Latin’s great economy of expression. I have completed several of the Great Courses over the years. This is one of the best. Dr. Mueller (Molinarius) is a great teacher with with a sense of humor (albeit subtle at times). I have had to pause a few times to wait for the laughter to subside. Warning: Latin is grammar-intensive. 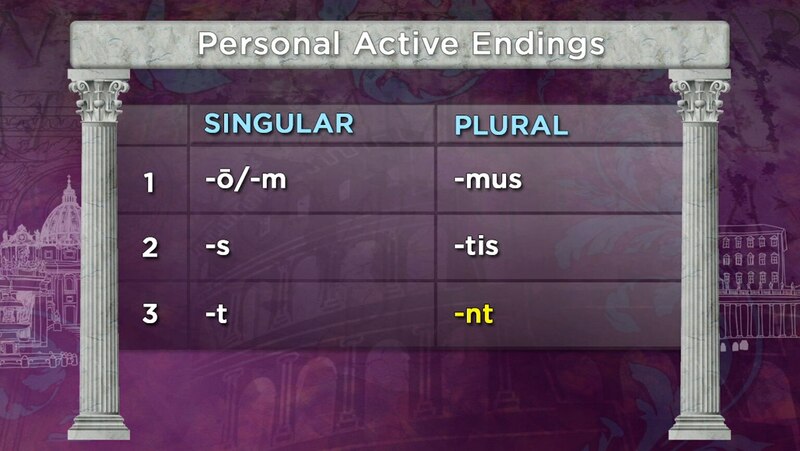 I did take a little more than a semester of Latin in high school (before my family moved to a place where Latin was not offered) so I knew my grammar skills (conjugations and declensions) would be tested. I remember our high school teacher taking a month long detour to teach us English grammar before we could proceed with Latin. I'm only a few lectures in and I haven't had to refer to an English grammar text yet but I suspect I will have to do so at some point (I took that Latin class in 1972. ).